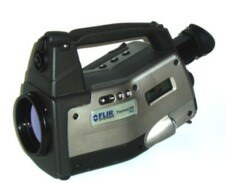 This camera is a long wave, handheld, Focal Plane Array camera that is capable of temperature measurement. This camera is best suited for Preventive Maintenance, Research and Development, and Medical Applications. The Camera stores images on a PCMCIA Card, and the images can be analyzed using one of several available software packages. 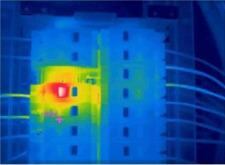 These units are used infrared cameras.